Bosch appliances invited me and a few other notable kitchen designers and bloggers to Irvine, CA, to show us their entire kitchen suite of appliances. Dwell was in attendance and provided the design narrative for the event as well as showing us the appliances in relation to other parts of the kitchen and home. 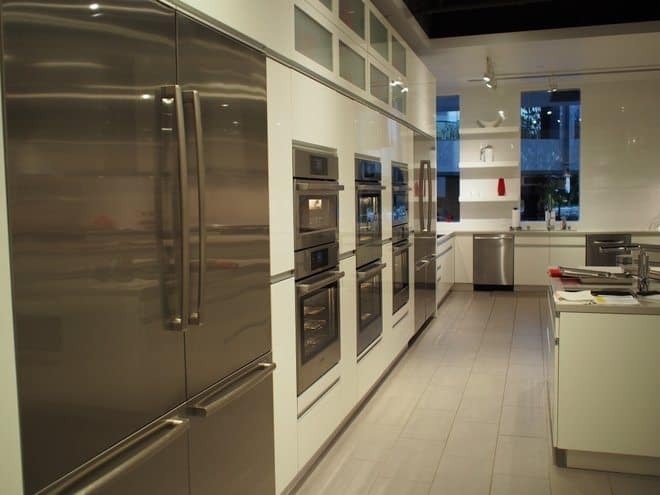 Long known for their washer/dryers and dishwashers, including the quietest dishwasher available in North America, Bosch also offers a a complete line of refrigerators, ovens, steam ovens, microwaves, cooktops, ranges and hoods. Bosch power tools are a favorite of mine, and after seeing their wireless charging units at the World of Concrete this year, I’m convinced they are one of the most innovative tool companies around. After seeing what Bosch appliances shared this week, I’m not surprised they are the same company. Their innovations in appliance design and advancements in technology were awesome to see. 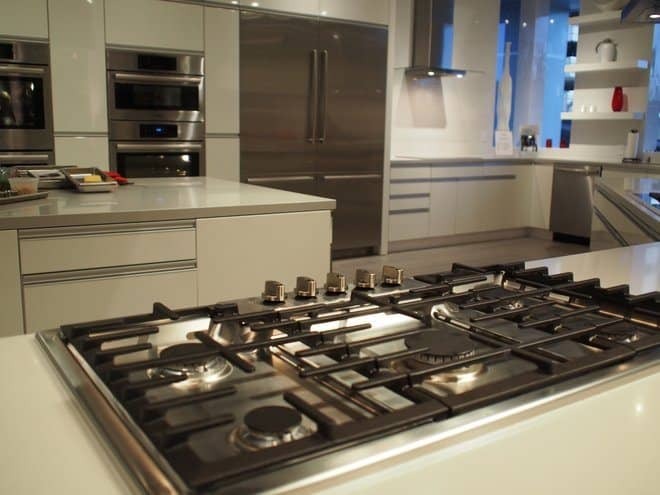 The first cool product was their downdraft ventilation system that is made to help ventilate a cooktop on an island. No exhaust hood needed. In addition to seeing their latest products, we actually got to use them to make lunch! 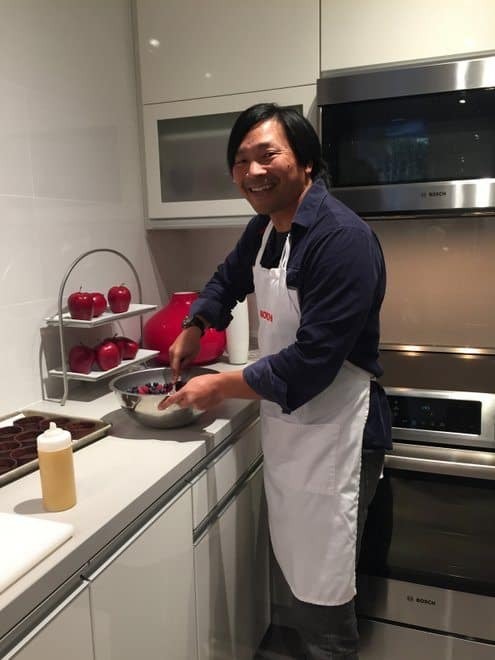 My cooking skills haven’t advanced much since college, which means I don’t make much more than ramen and eggs, but Bosch paired us with Bosch team members so we had an experienced hand by our side. My partner was Nitasha who was a Bosch brand manager and she knew exactly what to do when we were chosen to make a meringue tart dessert. It was my first time using an induction cooktop. It heated up quickly and the only heat emanating from our workstation was from the pot. The surrounding cooktop was cool and when we were done, the entire surface was easily wiped clean. Bosch had professional chefs on hand to monitor our progress and they really did an amazing job with prep and getting our food ready to plate. It was one of the best lunches I’ve had at any media event and it was fun to discuss how we made it. 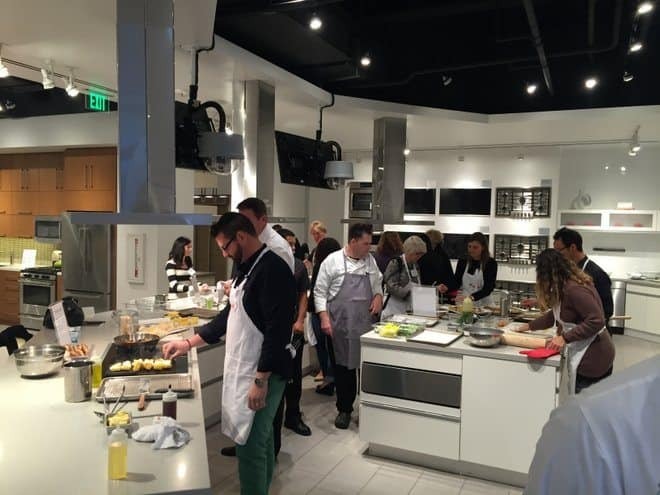 Some of the other attendees used the steam oven and others used the gas and induction ranges. The Bosch steam oven was a real eye opener for me. Janne of Bosch gave a great demonstration as she cooked a full meal of chicken and rice in the steamer. It looked delicious! The steam keeps the meat moist and is a healthier way to cook vegetables as opposed to frying them. Vegetables also retain more nutrients when they are steamed compared to boiling. 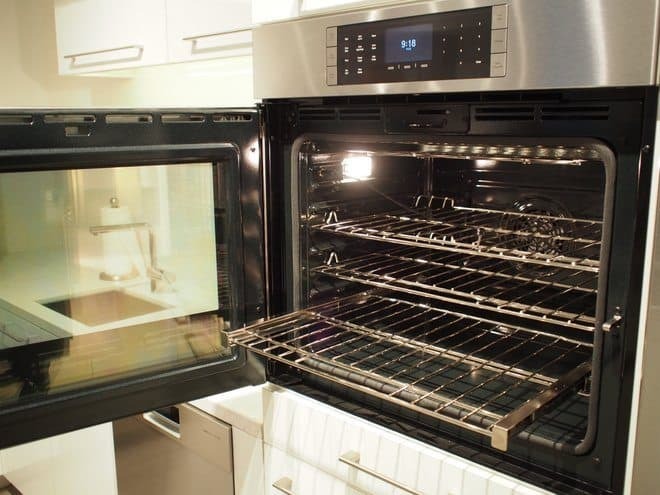 The steam oven comes with a variety of cooking pans, racks and a cookbook to help you get started. There is a self-contained water container that loads directly into the unit. Just fill it before you start cooking and you are good to go. No water line required. If you are seeking a German engineered product with European styling, Bosch is the way to go. 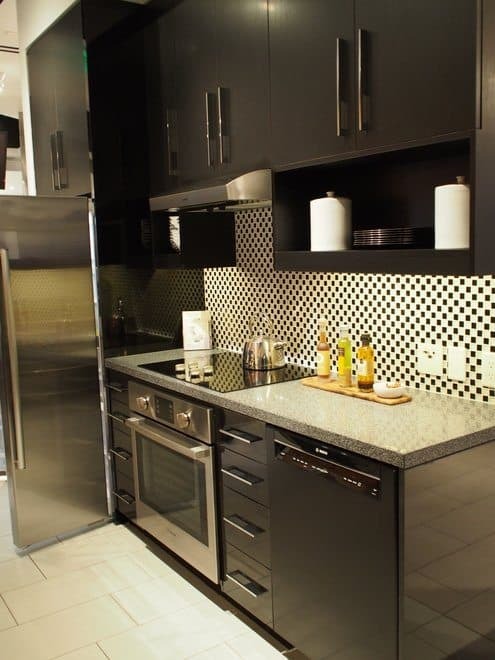 Dishwashers and refrigerators are available in stainless steel as well as a variety of colors and panels to match your kitchen. You can also go with or without the Bosch nameplate. I’d characterize Bosch appliances as understated but effective, stylish and functional, refined not flashy. I’m looking forward to seeing Bosch continue to expand in the North American market and hope to bring you more news from them as they innovate and grow. Check out the full lineup of Bosch appliances on their website.